Well, it’s good to know that even Microsoft guys aren’t above throwing gadgets just to see what will happen. Okay, officially it was presented as a reliability test for the Surface tablet, but you can see way too many smiling faces for this to be a boring, repetitive durability test. 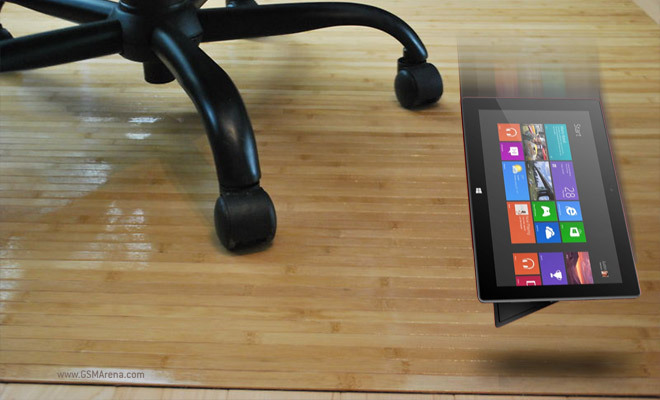 The Windows 8 RT-powered slate was shooting 1080p video at the time of the test, which consisted of falling 30″ (76cm) on a hardwood floor. Check out the video of the Surface taking a plunge after the break. The link to the video was initially tweeted by Stephen Sinofsky, president of the Windows and Windows Live Division.